Corrupt government officials. Skyrocketing crime rate. Everything is run by the criminal underworld. Yes, those are just a few of the problems Gotham is facing. But that’s the least of its problems. I’m not here to talk about the troubles this fictional city faces on a daily basis. Rather, I’m here to talk about my problems I have with the Gotham television show. And, boy, does this show have problems! When Gotham was first announced, I was pretty excited. The idea of seeing Gotham before Batman was promising. We would get to see the rise of Lt. Jim Gordon and his eventual promotion to Commissioner of the Gotham PD. We’ll get to see Bruce Wayne and how the murder of his parents molded him into becoming the Dark Knight and the city’s protector. But, 18 episodes in, I felt the show squandered all of its potential. If you haven’t been watching the series, I have to warn you, there are some SPOILERS. First off, I like to look at the characters; there’s just too many! ABC and Gotham’s producers seems to be trying to cram in all of the notable people in the Batman mythos. In the first 15 minutes of the first episode alone, we’re introduced to Gordon, Harvey Bullock, Bruce Wayne, Renee Montoya, Crispus Allen, Edward Nygma and Selina Kyle/Catwoman. The first 15 minutes! That’s a whole lot of characters to keep track off! But, in the same episode, they introduce even more of them! 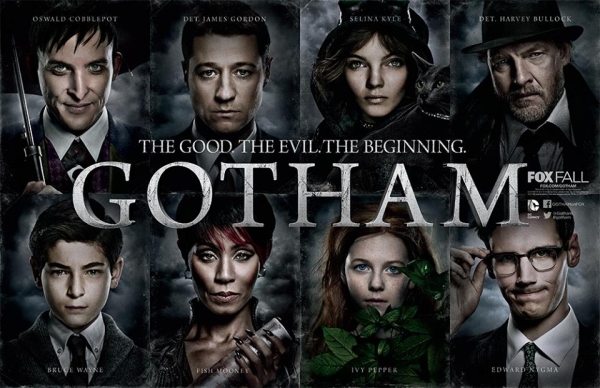 We then see Oswald Cobblepot/Penguin, “Fish” Mooney, Ivy Pepper/Poison Ivy, Alfred, Barbara Kean and Carmine Falcone. And this has led to a very bloated cast. I personally wouldn’t have a problem with a large cast… if they were all interesting! Unfortunately, only a few of them actually get any time in the spotlight, thanks to this bulky roster of characters. Most of them, at best, only get a few minutes of screen time to develop their characters and, you know, make us care for them. This is actually easy to fix as, all they have to do is devote more screen time to the minor characters. Or give them episodes dedicated to them! It wasn’t bad enough that they have a really huge cast of characters to keep track off, the producers decided to add a non-canon villain! Of course, I’m talking about “Fish” Mooney, the person Jada Pinkett Smith plays in Gotham. During the first few episodes, I actually liked her story arc where she tries to take over Falcone’s territories and undermine the Don himself. It was great. But, now that she’s been deposed by Penguin, why is she still in the show? The writers could’ve written her off on Episode 13, where she was leaving Gotham for good to regroup. But, no! As of this writing (episode 18), she’s on an island with Dollmaker, sorry, Dr. Francis Dulmacher. Unless the writers can pull of some surprise twist to make this forgettable story arc of hers work, they should’ve just ended her story when she left in Episode 13. I also have a problem with the way Gotham introduces their characters. The writers just hit you over the head with the character traits and names. They’re totally not subtle when they introduce a Batman character! For example, the mobsters just call Oswald Cobblepot “Penguin”. Apparently, he’s been called that name before since he dislikes the moniker. This happens way before he gets beaten half to death and acquires a limp that makes him “walk like a penguin.” So, why the hell were the mob thugs calling him “Penguin”? There are other cases like this. We have Selina Kyle exclaim she prefers to be called “Cat” for no apparent reason. The first time we get a good look at Ivy Pepper, she’s tending a garden. We often get scenes where Edward Nygma attempts to give a riddle when giving his findings. There’s a lot more examples but I don’t think I have enough space to list them all down! It just doesn’t feel natural and, apparently, all of them were already destined to get their colorful nicknames from the get go! I dread to see what the writers will think off when they introduce Mr. 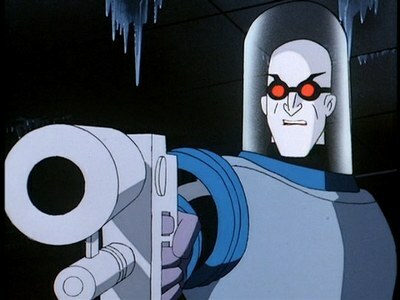 Freeze! They’ll probably make him a scientist with a wicked addiction to ice cream. Among all of the current crop of TV shows based on DC comics (Arrow, The Flash and Constantine), Gotham ranks dead last. I already know the show’s been renewed so I’m really hoping they’ll do better in the second season. Jada Pinkett Smith also confirmed that Fish Mooney isn’t returning for season two. That’s a good start, DC. What’s your take on Gotham? Let me know in the comments section below!